Are you considering replacing your old single house windows or double glazing so that you can keep warm and reduce bills as well? With Quotatis you could look at up to 4 businesses for the best offer Birmingham. Upvc double glazing is among the most popular insulation techniques householders can take advantage of. The simple structure is two panes of glass split up by an efficient gas spacer. This spacer, typically Argon, Xenon or Krypton, is motionless so heat can't move through and escape the home. As such, heat is instead kept in the house, keeping you warmer through the year. In the same manner, throughout the hotter summer time months heat is kept out of your home, making sure you're cooler. For this reason, you're in the position to lower heating bills by approximately £200 each and every year. The environmental benefits are also rewarding. Since there is little need to turn up the central heating boiler temperature, fewer carbon dioxide emissions are created and emitted into the atmosphere. To start benefitting from efficient windows and reduce your heating bills yearly, complete our online form and review quotations from approximately four respected double glazing businesses. Birmingham is home to more than one million people today, making it the second most populous city in england. This built-up West Midlands city has a blend of industrial buildings and brand-new family homes and properties, most of which will need modernising. Fitters of replacement windows (A graded windows, secondary new double glazing, replacement windows) in Birmingham. They will supply you with quotes in Birmingham for the installing of double glazed units. Quotatis are fully commited to finding you the best prices in Birmingham by comparing more than one hundred providers. Project: Customer visited the mywindowsprices.co.uk site and submitted an enquiry. Glazing type: Double, Work description: 3 frame bay window resting on a wall and front door to be replaced. You did the search so that didn’t need to. They recommended a few companies that are reputable in the market, and as a result I have used Brightstyle for my window/door installation. We noted 24,723 requests for property double glazing quotations in Birmingham. Of these quotation requests the number of double glazing quotes in Birmingham was 480. Quotatis would have been able to match these customers with up to four suitable installers who were available for work in Birmingham at that time. Request a free home survey from reputable companies in Birmingham. The pie chart below indicates the UK's populace according to regions. Britain's total population surpasses 62 million, with the largest portion of people situated in the South East, Greater London and North West regions. The table underneath the pie chart reveals the UK's populace in regions as a figure. As you can see, both the South East and Greater London have greater than eight million occupants, while Northern Ireland and the North East hold the fewest inhabitants. The data underneath displays the complete number of solar PV installations in Birmingham. Solar power systems have grown in popularity largely as a result of the Government's lucrative feed-in tariff incentive, which pays out for each unit of renewable electricity produced. Join these property owners and start generating your own electricity today. The information underneath reveals the standard property price in Birmingham. For the most part, house prices have increased in value drastically throughout the last decade. Nonetheless, recently prices appear to have stagnated and it's vital to improve your home to add value. The data below shows the house market for the past seven years and exactly how many homes have sold within Birmingham. Because of the large costs linked with moving home, many people are now deciding to stay put rather than relocate. 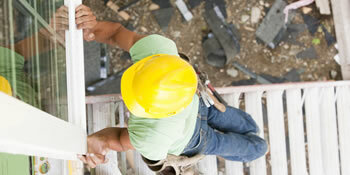 Home enhancements are becoming much more popular as people look to improve their property. Have a home improvement job and need a recommended professional? Quotatis will help you find the best business in Birmingham and nationally, so you get the best possible value for money. Just search for your project and request up to 4 quotes.